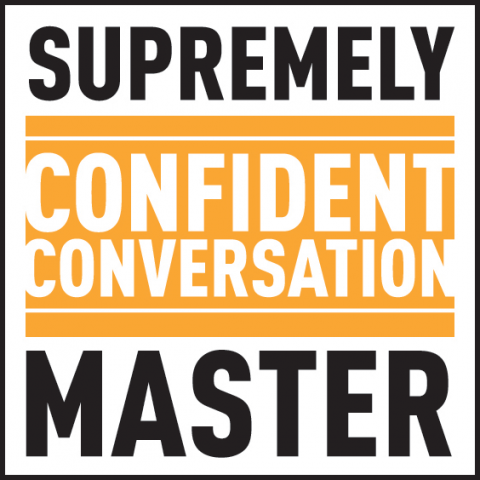 Confidence coach Dr. Aziz Gazipura announced Supremely Confident Conversation Master, a March 8 - 10 event in Portland, Oregon, designed to help participants improve their conversation skills and lower their social anxiety. Dr. Aziz Gazipura, a world-renowned confidence coaching expert, announced a new event in Portland, Oregon, scheduled for March 8 – 10. Registration is open for anyone looking for practical strategies to improve their personal confidence, boost their conversation skills, and develop a higher sense of self-esteem. Social anxiety is a relatively common condition, currently experienced by more than 15 million American adults. Dr. Gazipura’s event will focus on helping participants improve their conversation skills to speak effortlessly with anyone, on any subject, and engage in meaningful conversations. This way, they can experience a positive change both in their personal and professional lives. By mastering the skills necessary for small talk, participants will be able to make new friends with ease and boost their general social skills. They will become more persuasive and feel more comfortable being themselves in a variety of social situations. The content covered includes the three mindsets of master conversationalists and the five steps necessary to confidently start a conversation with anyone, anywhere. The March 8 – 10 event will also feature practical, engaging activities focused on helping participants overcome their social anxiety and improve their conversation skills. The activities presented are designed as opportunities to practice social skills, rather than as required tasks to guarantee all participants feel as comfortable as possible. Dr. Aziz Gazipura is a leading social confidence and dating coach with a Doctorate in Clinical Psychology at the PGSP-Stanford PsyD Consortium and a Postdoctoral Residency at The Student Health & Counseling Center of Portland State University. Dr. Gazipura has helped thousands of successful participants overcome social anxiety and improve their conversation, relationship building, and social skills.